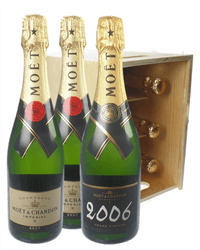 A mixed crate from the house of Moet & Chandon. 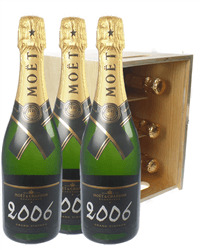 Two bottles of Moet Non-Vintage, two bottles of Moet Vintage and two bottles of Moet Rose Champagne. 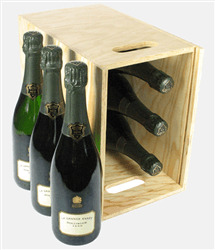 Presented in a strong wooden crate, the bottles are divided by wooden slots. 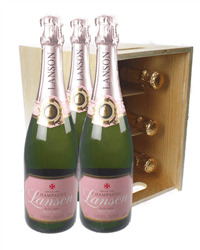 The crate has a sliding lid and you can personalize this gift by adding your own personal message. 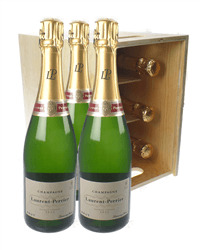 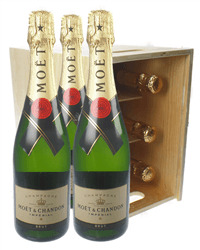 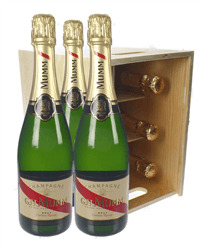 Send six bottles of Champagne in one of our wooden crates. 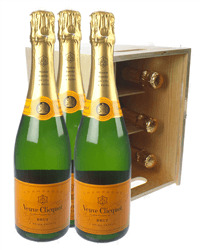 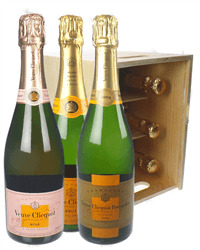 Our wide range of Six Bottle Champagne Wooden Crates includes a choice of combinations of Brut, Rose and Vintage Champagnes from Veuve Clicquot, Moet et Chandon, Laurent Perrier and Lanson. 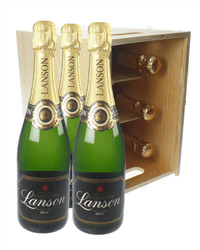 Order online or by phone and we will deliver direct to the address of your choice carefully packaged with your special gift message.